I’m feeling a bit melancholy today saying goodbye to 2015. It was such an amazing year, that I’m nervous to move on from it. It’s also the last year/month of my “twenties” — a tumultuous, but glorious decade– which has forced me to question now if I did everything I should/could have in its duration. I think I made the most of year 29, but one thing that got inadvertently knocked to the bottom of the priority list was my health. Working from home led to many poor eating decisions. It was too easy for me to go grab fast food and eat by myself, with no one around to judge me if I went overboard. Throwing all my free time into growing a photography business meant that I was always out working on the weekends/evenings or sitting in front of a computer editing. I’m currently the heaviest weight of my life, but beyond that, I just don’t feel healthy. Around September, right before my NY trip, I started having the worst asthma attacks (and in retrospect, was probably bronchitis). The coughing has since subsided, but I still feel out of breath after even a minimal amount of activity. My allergies are relentless, and I just miss feeling not sick. Instead of going back to the Dr. for another round of steroids or new inhaler, I’ve decided to take a harsh look at my habits and make a change. It was fateful timing when my fitness blogger friend Andrea announced that she was going to be doing The Whole30 challenge in January. I left a comment casually mentioning that I was interested in doing it with her. 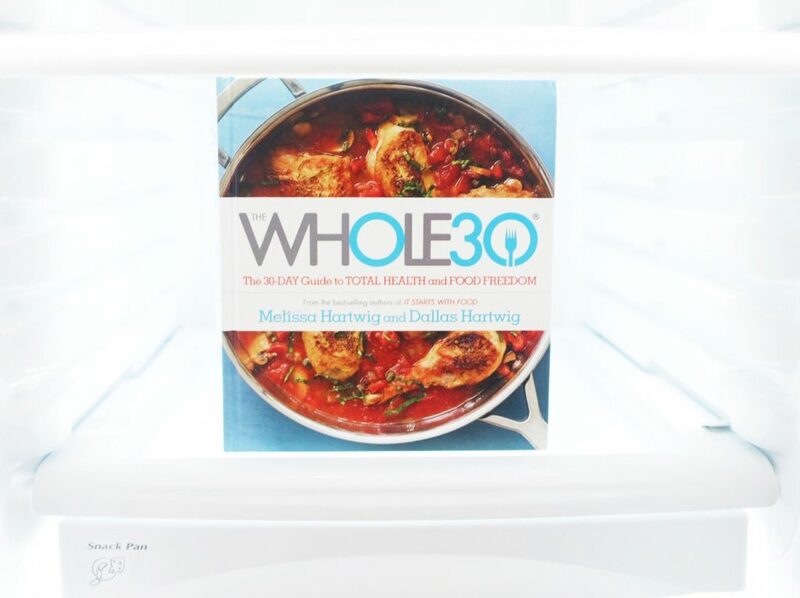 As a Christmas gift, she gave me a copy of The Whole30: The 30-Day Guide to Total Health and Food Freedom. I read it over the holidays, and was convinced that this could be the solution to my health and fitness woes. Elimination diets intimidate the heck out of me– I’m always afraid that I won’t have the willpower to stick with it. Luckily, I’ve got a great support group (even Holden is going to try it with me! ), and some amazing resources to reference. I started pinning Whole30 recipes, and used some of my holiday money to prep our kitchen. I was especially excited to find this Wüsthof ® Gourmet 7-Piece Knife Set on sale at Crate & Barrel for over 50% off!! (I feel like such a grown-up buying my first fancy knife set). Mentally preparing to bid adieu to soy sauce, and try Coconut Aminos. My friend Courtney told me about a great Whole30-friendly Mayo that I’ve already ordered. Have also heard great things about Tessamae’s sauce and dressings. Ditto to you, desk buddy! !